You can take your Year of the Horse. 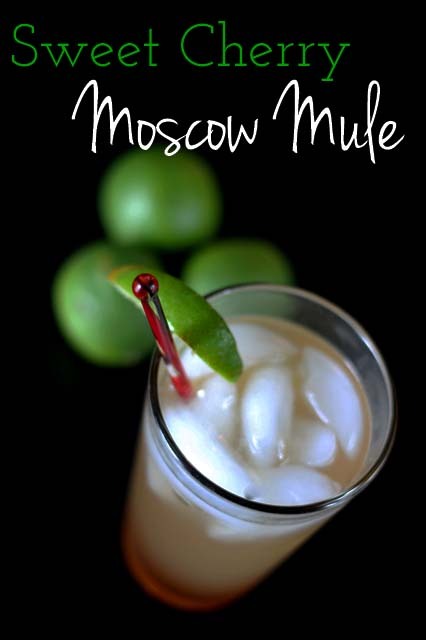 I much rather have the Year of the Moscow Mule, which 2014 is most certainly shaping up to be. Bars and restaurants are jumping on the bandwagon and now I have the perfect recipe for you to try at home. To make a true Moscow Mule, you need fancy copper mugs , but for my summery cherry version, I suggest any vessel that won’t break if dropped on the patio. 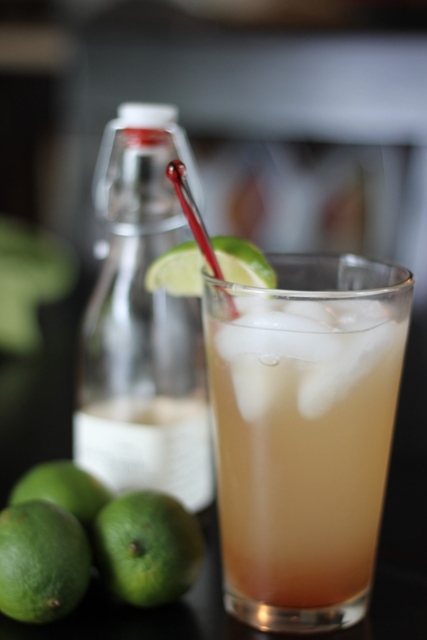 This is definitely your summer sipping drink! A few weeks ago, I bought a bottle of Effen Black Cherry vodka to make Dirty Shirleys when a group of girlfriends came over. The next weekend, a neighbor introduced me to the deliciousness that is the traditional Moscow Mule, copper cup and all. I knew I had to make this again myself, but didn’t want to buy a whole bottle of plain vodka for the cause. It was Kismet that I had this cherry stuff in my fridge! Do yourself a favor, find a bottle of Quince & Apples Tart Cherry Grenadine. It makes the maraschino stuff taste like cough syrup. It is SOOOO much better. While pregnant, I had a lot of ginger beer in an effort to look like a grown-up. I really came to like the flavor on its own, but you could totally do this up as a mocktail. Just skip the vodka and add in a little more grenadine. Squeeze two slices of lime into the bottom of glass, then fill the glass with ice. Pour in vodka and ginger beer. Carefully stir as to not disturb the bubbles. Slowly drizzle in the grenadine and garnish with another lime wedge on the rim of the glass.